Shannon Fuller says that knowing what your priorities are is the key piece to efficient development of a governance structure for the Data Lake. Fuller is the Director of Data Governance at Carolinas Healthcare System, where he piloted an HDInsight Hadoop implementation on Microsoft Azure. 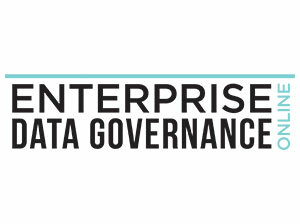 Speaking at the DATAVERSITY® Enterprise Data Governance Online 2017 Conference, Fuller shared practical approaches he used to create a system that supports innovation and insights in health care service delivery. 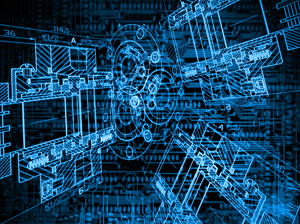 Is the Data Lake a playground, an incubator for innovation, or an operational data store? What factors to consider before tiering, segregating or restricting data to protect it, yet still make it useful for innovation? What tools are available, or will we develop our own? How do you protect intellectual property when working with third parties? Innovation was important, so they decided to create smaller, stand-alone products that could support rapid development of Analytics Prototypes and Predictive Models, he said, and to minimize risk with third parties, they wanted to build in intellectual property protections. By taking smaller chunks, they could enable quicker availability of new data sources, he said. “It’s easier to be able to structure – especially with non-structured data – if you can focus on exactly what you’re looking for instead of for example, trying to pull everything out of physician nodes and structuring it,” you can choose to look only at these key pieces to support this asset. After deciding their priorities, they were ready to consider third-party tools. Choosing a Hadoop implementation on Microsoft Azure, Fuller noted that Hadoop offers several different storage options, and of those, they made a decision to use Azure storage blobs as well as implementing an Azure Data Lake store. There are file size limits for storage blobs and they are not truly distributed, he said. To offset these limitations, their Data Lake store is an implementation of HDFS in the Cloud that provides user-based security, which they administer using Microsoft HDInsight. He sees a lack of file size or storage limits as the biggest advantage of the Data Lake store. Fuller presented a slide with a diagram of how the different components they chose worked together. Source data is extracted from on-site databases using HDInsight tools and stored in an Azure Data Lake store, then refined, enriched and catalogued by Tresata. Cleansed and enriched data is available to be used for modeling, reporting, and to populate executive dashboards as needed. After the data lands in the operational layer, it’s cleansed, matched, and merged, algorithms are applied to it, and access controls are instituted, he said.